Dr. Jennifer Jenson (Ph.D. Simon Fraser University), is Professor of Digital Languages, Literacies & Cultures in the Department of Language and Literacy Education, Faculty of Education, University of British Columbia. 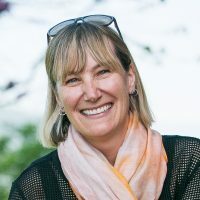 Prior to coming to UBC (January 2019), Dr. Jenson spent 18 years at York University in Toronto, Ontario, Canada, where she was Director of the Institute for Research on Digital Learning. Dr. Jenson is co-editor of Loading: The Journal of the Canadian Game Studies Association and a past, long serving President of the Canadian Game Studies Association. Working with Professor Suzanne de Castell (UOIT), Dr. Nicholas Taylor (NC State University) and a team of students in her CFI-funded Play:CES (Play in Computer Environments) lab, she designed a series of educational games including: “Contagion”, “Epidemic: Self-Care for Crisis”, a Baroque music game, and an iPad game for early readers, Compareware. She has completed 2 longitudinal studies of gender and digital gameplay, and held a Partnership Development Grant, Feminist in Games, to support women and others who wanted to play and make games. She also completed a 3-year, mixed methods study of massively multiplayer online games and their players in partnership with SRI International, Simon Fraser University and Nottingham University, UK. She has published widely on education, technology, gender, design and development of digital games, and technology policies and policy practices in K-12 schooling. She has considerable experience working on and with teachers in relation to technology, pedagogy and curriculum, and authored a report for the Ontario Ministry of Education entitled “21st Century Skills, Technologies and Learning“ as well as completed a significant research project on games and learning for the Council of Ontario Directors of Education, in collaboration with the Ministry of Education. She has also worked with school boards, colleges, and technology companies to support the integration and implantation of technologies in the K-12 sector and post-secondary sectors and she has considerable experience designing online learning experiences in higher education. Currently, she is the Principal Investigator of an international SSHRC Partnership Funded Project, “Re-Figuring Innovation in Games”, which seeks to interrupt and re-figure the hostile, misogynistic cultures of game making and play. SSHRC Insight Grant. The “Think, Design, Play” project has three primary objectives: 1) THINK: to make games critically and ethically with a view to better design and the contexts of and for design; 2) DESIGN: to create opportunities for participants to engage in the design and development of digital games both individually and in collaboration; and 3) PLAY: to provide a context in which the powerful and playful possibilities of digital games can be enacted, documented, observed, critiqued and studied, especially with a view to how the games played are designed and played. “Play’, so seen, includes critiquing and modding games and game-related media as a means of talking about and learning from the game designs of others and as a means of understanding games of all kinds.